Denny Jump (Bellevue, WA, United States) on 7 September 2018 in Architecture. Those warm colors are a comfort if nothing else ! Certainly beautiful and evoking memories of a time when your younger America wanted to reach the loftiest of ideals. Buildings, people... all are held within the grip of mortality, time passing, and thus we won't always suffer today's pains, though it should also reinforce the notion of appreciating our daily gift of being alive which should further reinforce the need for civility and open mindedness. This is beautiful Denny! Gorgeous color and a wonderful point of view! Very nicely composed. 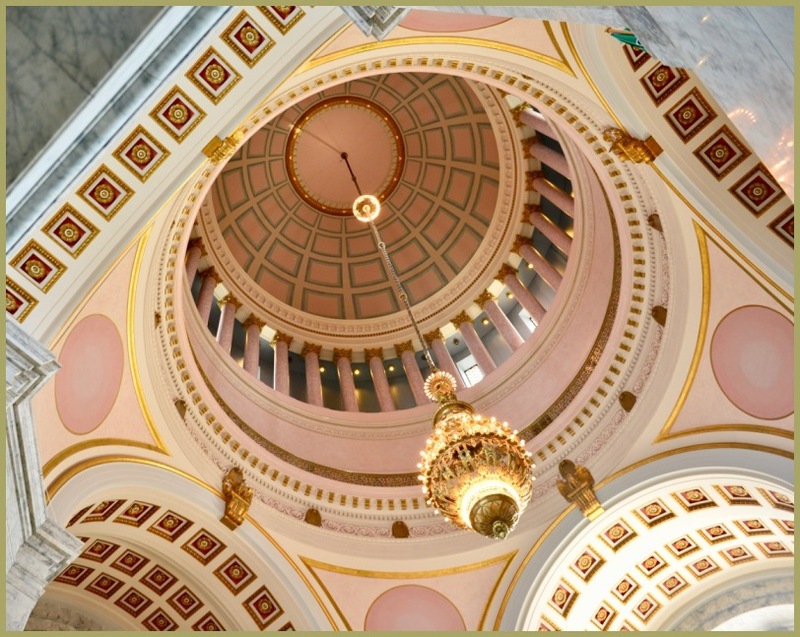 I agree about the beauty of state capitols--they are fabulous.